The Pre-Con Valve is built to last and the support we carry for our valve is superior in the market. Please see this testimonial review from one of our users of nearly 20 years on the same valve since 2000. 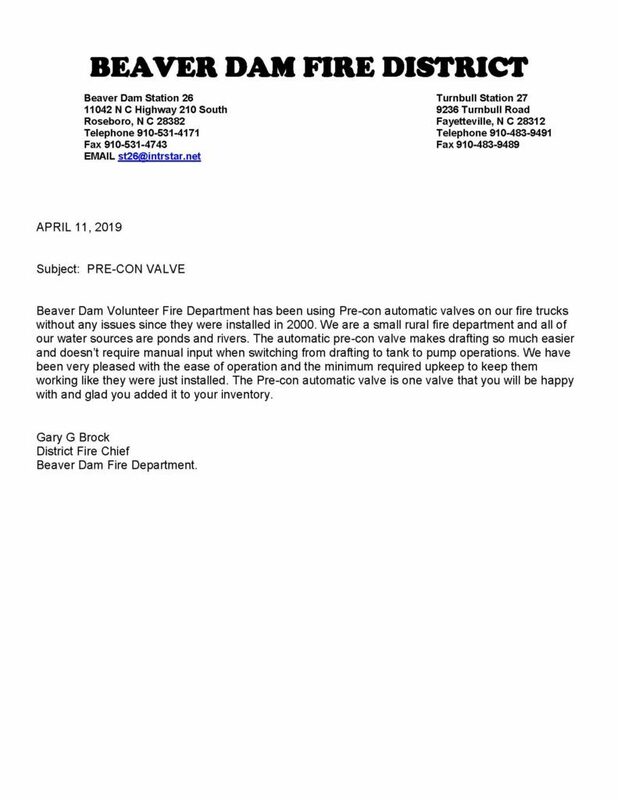 Thank you Beaver Dam Fire District for your long term business with our company and we look forward to many more years.